WhatsApp has become a social staple in many countries around the world. Where I live, it's either use WhatsApp or be a social reject... so everyone uses it. However, by relying on the app for all of your messaging and communication needs, you have to accept that its new Android-specific features will come at the developers' whim. Thankfully, they didn't take long to update the app for Android Wear. 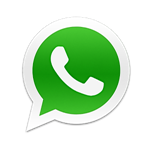 Version 2.11.318 of WhatsApp has been made available for download on the official website. This is the usual way this developer seeds new releases before updating the app in the Play Store. It's not labelled as a beta, but that's essentially how it's treated. 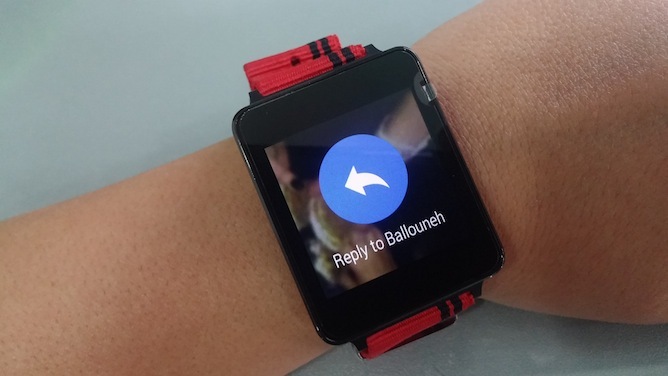 It implements many features that Android Wear users like me have been eager to have. 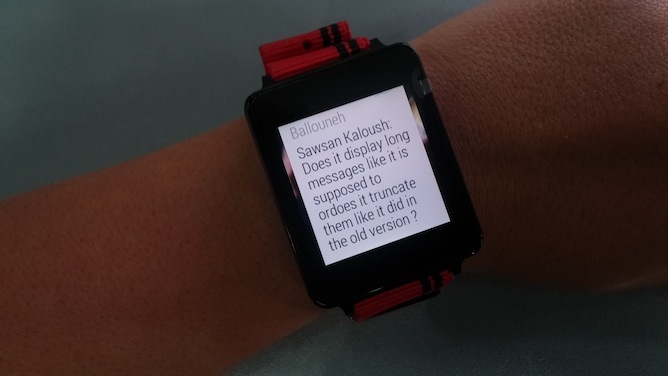 Complete message preview: instead of seeing a truncated notification, you now get the entire message displayed on your watch. It even shows you the individual sender's name in a group conversation. Stacked notifications: if you get several WhatsApp messages, you will be able to expand them and read each one separately. Voice replies: by swiping, you get the option to dictate a reply to the message thread. The implementation isn't flawless yet (probably the reason why this is still a limited release). The two main issues I have encountered happen when you dictate a voice reply: the WhatsApp app opens on the phone and the notification disappears from the watch. There's no reason why the app should come to the foreground and the notification should remain until you manually dismiss it. 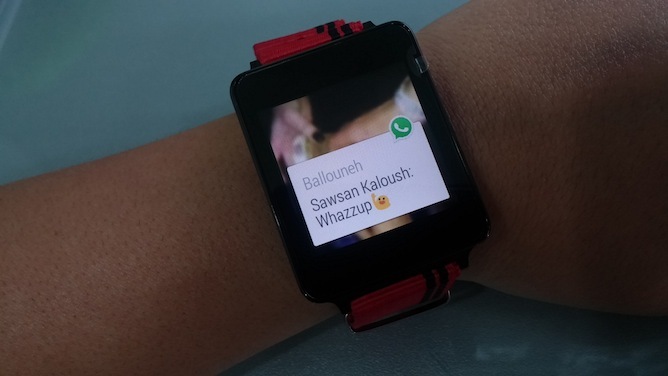 Nonetheless, WhatsApp's support for Android Wear is now leaps and bounds ahead of what it used to be, and almost on par with Hangouts. It's one more reason to talk to our wrists, raise our geek cred, and lower our social acceptance. Yay? !